A veteran ended his life in the waiting room at a VA clinic in Austin, Texas on Tuesday. The veteran, who has not yet been identified, was referred to a local VA hospital but then transferred to the Austin Veterans Affairs Outpatient Clinic and took his own life before hundreds of witnesses, KWTX News reported. “When he found out he couldn’t get the help he needed there, he chose to take his own life,” McLennan County Veteran’s Service Officer Steve Hernandez said. The veteran was originally participating in the Phoenix Program at the Olin E. Teague Veterans’ Medical Center in Temple, Texas. The VA describes the Phoenix Program as “an intensive, residential treatment program for combat-related PTSD.” The program involves six hours of daily therapy. However, the veteran was discharged and referred to the Austin clinic for unknown reasons. Hernandez said, “there is no facility in the state or in the country dedicated to serving veterans with mental health issues,” a problem that contributes to the helplessness commonly felt among many veterans. “What’s going on is concerning and the actions undertaken so far speak for themselves,” Hernandez added. Veteran Ken Walker was in a group therapy session at the Austin clinic when the veteran fired his fatal shot. “All of a sudden, over the intercom, they have this statement about everyone must clear the building including staff, so it was a little surprising,” Walker told KXAN News. He added that his class had continued for nearly an hour after the veteran’s suicide before he heard what had happened. 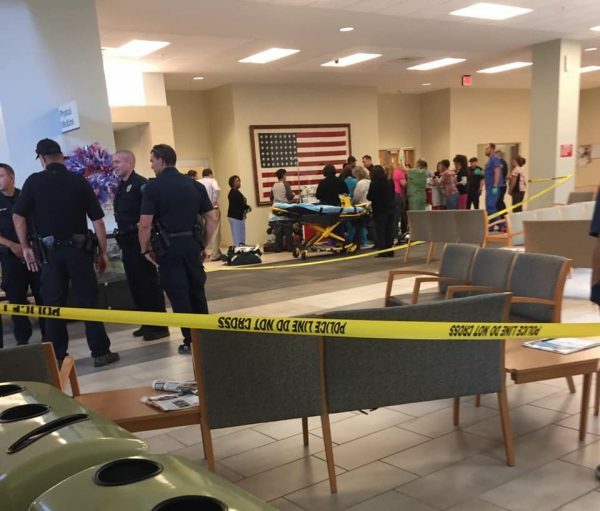 Guns are prohibited in all VA facilities, but the Austin clinic had no metal detectors that would’ve alerted authorities to the veteran’s plan. The clinic instead conducts random bag searches. “For military veterans, access to weapons and familiarity with weapons makes it too easy,” said Jack Swope, a licensed counselor at Austin’s Samaritan Center. Swope added that while mental health services are available to veterans, the programs aren’t always available or financially feasible to the veterans, compounding the issues veterans face.